Guard gated Summitridge estates w/ just 9 homes. A privately separately gated promontory - a positively one-of-a-kind location and first time on the market in 50 years. Almost 3 acres with 360~ views from Mount Baldy to the Santa Barbara Channel Islands to downtown L.A. & the Pacific Ocean. 7 minutes from the Beverly Hills Hotel to this exclusive community surrounded by nature will make you feel like you were hours from LA. A community filled w/ special multi million dollar properties & a very impressive group of international diverse owners seeking an exclusive 24 guard gated estate. Perched up a long driveway on a gated hilltop w/ a separate but attached lot that could be an amazing guest house with its own separate entry. Front row seat on some of the most spectacular sunsets peering over the magic 4000 pound rock imported from Hawaii to complete this hideaway. 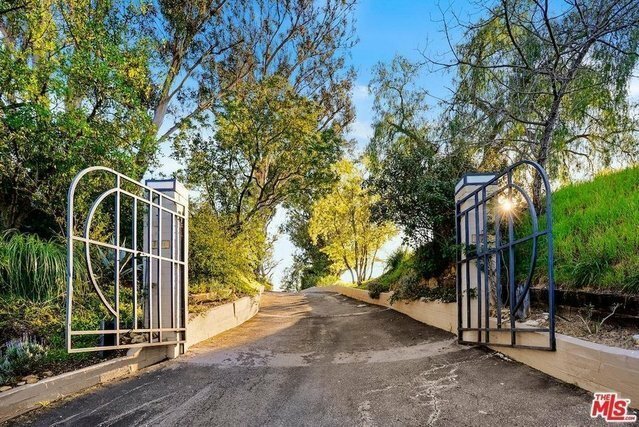 Completely private for those seeking the best and most secure promontory in the hills of Beverly Hills.